Measure the length and width of the table. Multiply these figures by each other to obtain the total area of the glass for the table top. Plan for a one-quarter inch depth (at a minimum) for the glass. 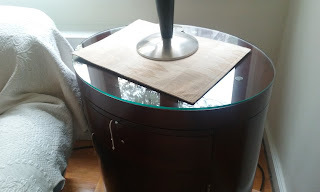 This measurement may change depending on the type of glass installed on the table.